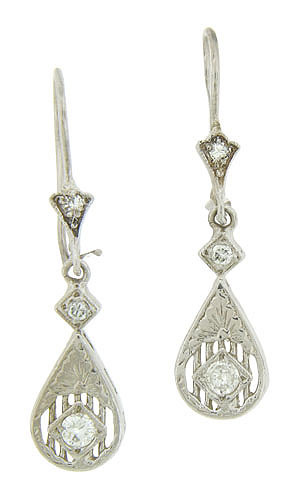 Teardrop figures decorated with filigree and floral engraving dangle from wires on these antique style earrings. A trio of dazzling round cut diamonds are set into each earring. Set on wires, the earrings measure 1 1/4" in length, 6/16" wide.